Well, you might have noticed there were no pictures posted these past four days, so I have some catching up to do. I went out of town Thursday for my high school reunion. You can bet quite a few photos were taken! I’ll be sharing some here to cover my four day weekend trip. This picture was taken at an antique store in Jackson on Thursday. 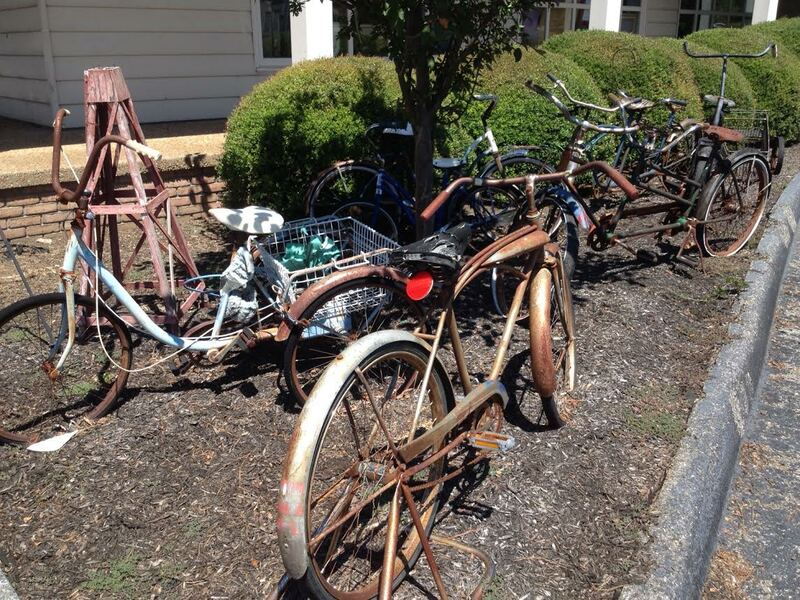 I love the old bikes parked outside. Had lunch inside in a nice little cafe and then did some shopping.